I happen to have the best friends in the whole world. Remember Barbara from Triglav? She has been a good friend since high school and as it happens with friends, we’ve evolved in quite the same direction. If we started off sharing a glass of wine on Friday nights in our teen years, we now share a much greater passion for mountains (honestly, it was a bottle rather than a single glass). 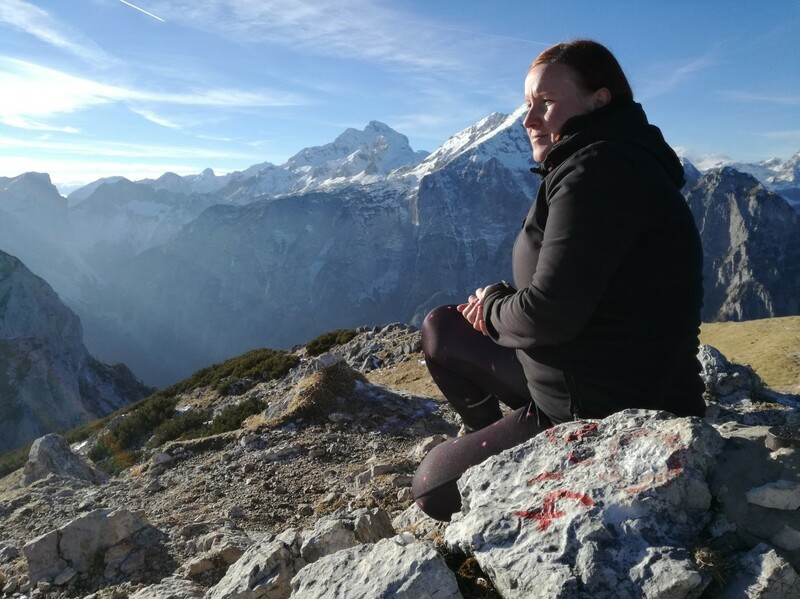 To that extent, she offered to share her last week’s trip to the Triglav National Park conquering a beautiful mountain called Debela peč. Here it is folks, Barbara’s very first blog post and shall I say, hopefully, there will be many more of those in the future. All photos by Barbara Kandus. I've first heard about this 2014-meters high peak from my ex co-worker ten years ago. All I remember her saying was how nice it was up there, and that the hike itself wasn’t particularly difficult. But, somehow, I hadn't found the time to put it on my schedule ... up until last Sunday. 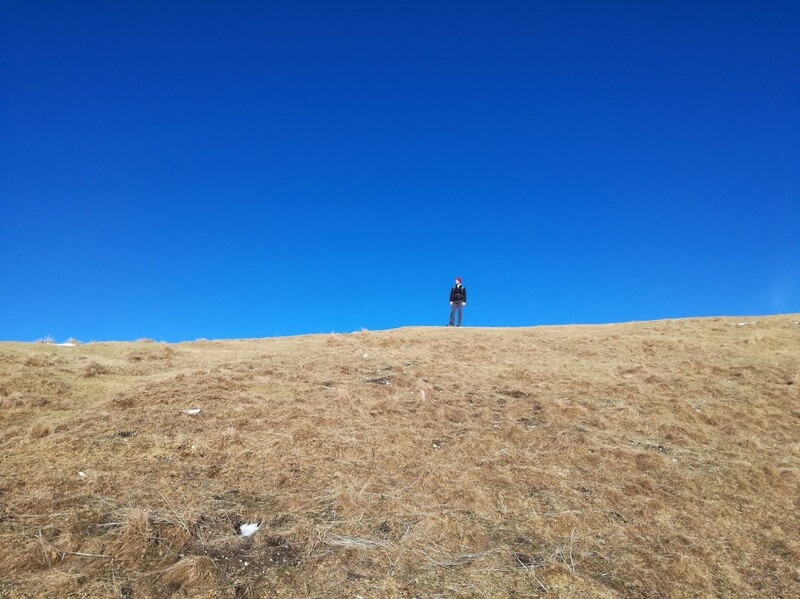 The prognosis for the scheduled hike was cold and sunny. So, the decision was clear. 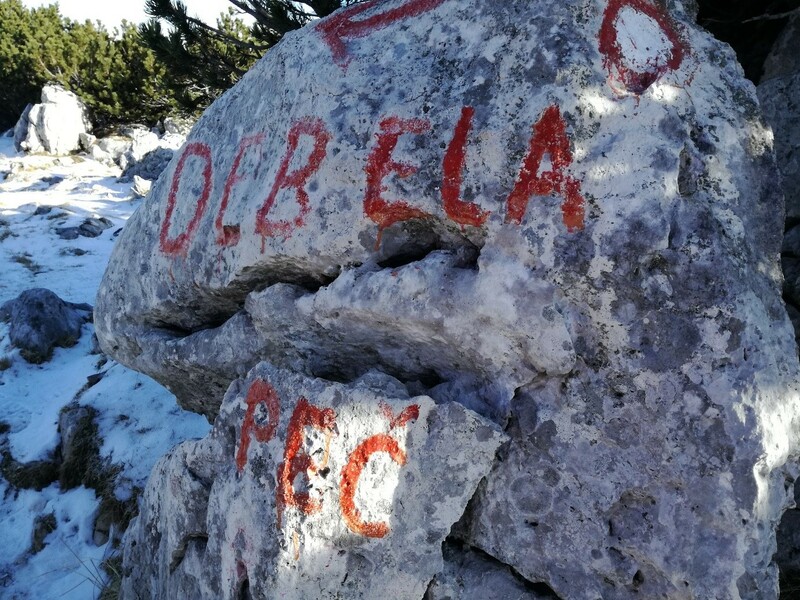 On Sunday morning, we'd go to Debela peč. 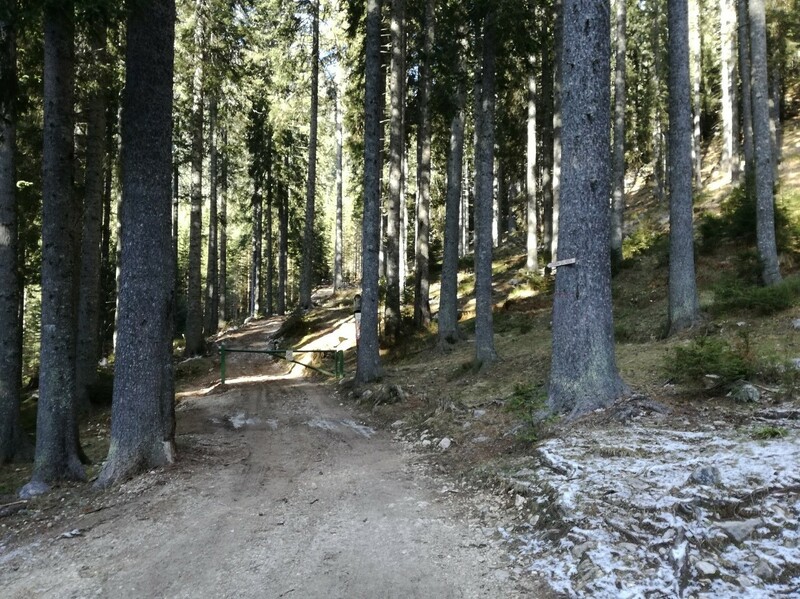 It just felt like we were running out of sound opportunities to climb the mountain safely this year, since we wanted to do it in nice weather and without snow which can complicate our hikes a bit. 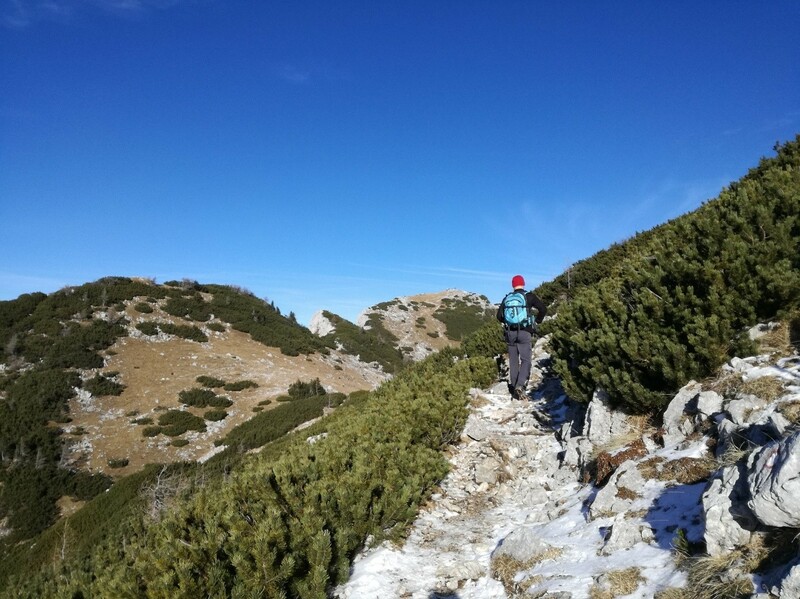 Summer hikes for Debela peč usually start from Medvedova konta (1.410 m), an Alpine valley near another more known valley called Lipanca. 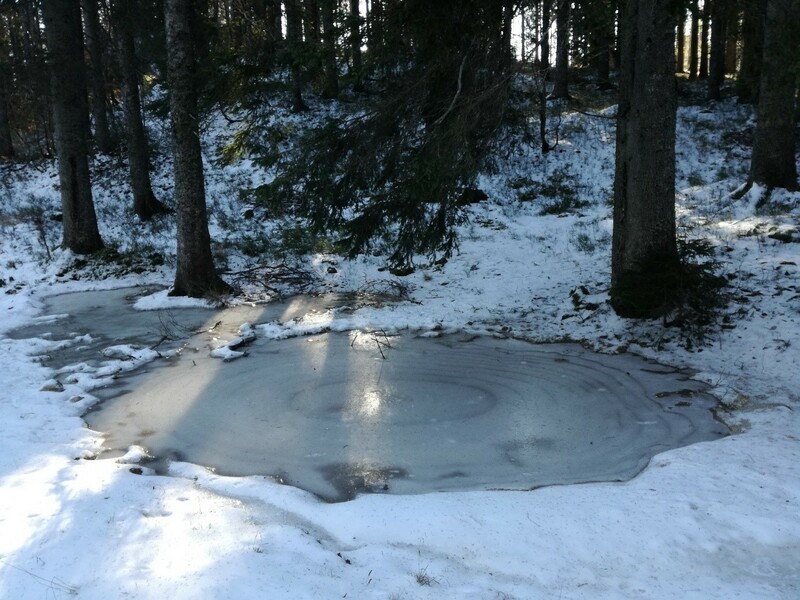 The starting point is easily reachable with a car in warmer months, but can be quite tricky in colder months. 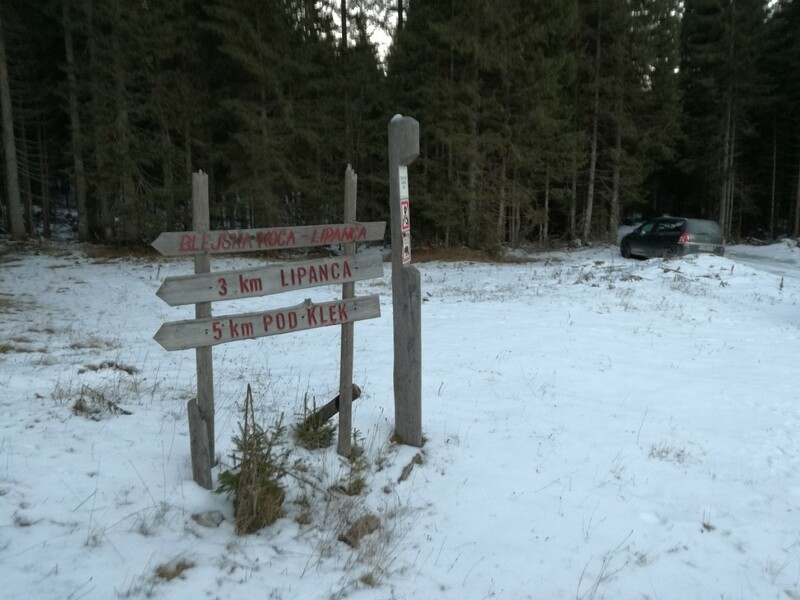 Although Pokljuka didn’t show any signs of snow at the beginning, it changed quickly after we reached an altitude of about 1,300 meters. 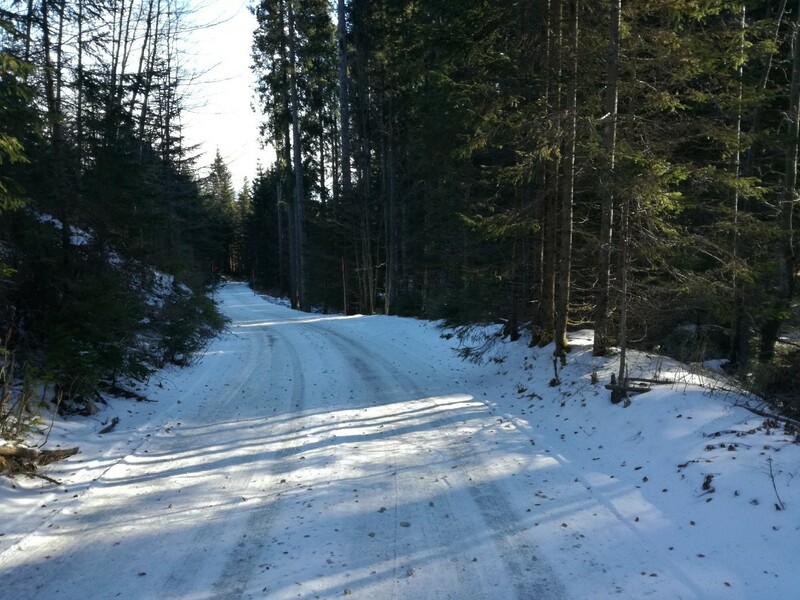 When we turned right to follow a narrow gravel road to the Lipanca valley, the winter landscape suddenly arose. The road quickly turned snowy and icy. Even though we had winter tires on, the road to Medvedova konta turned out too slippery for our car, lovingly named Zaffi. Zaffi got stuck with no possibility to turn around. Me and my partner changed seats and Roman maneuvered the car reverse safely back to the crossroad where we parked it. 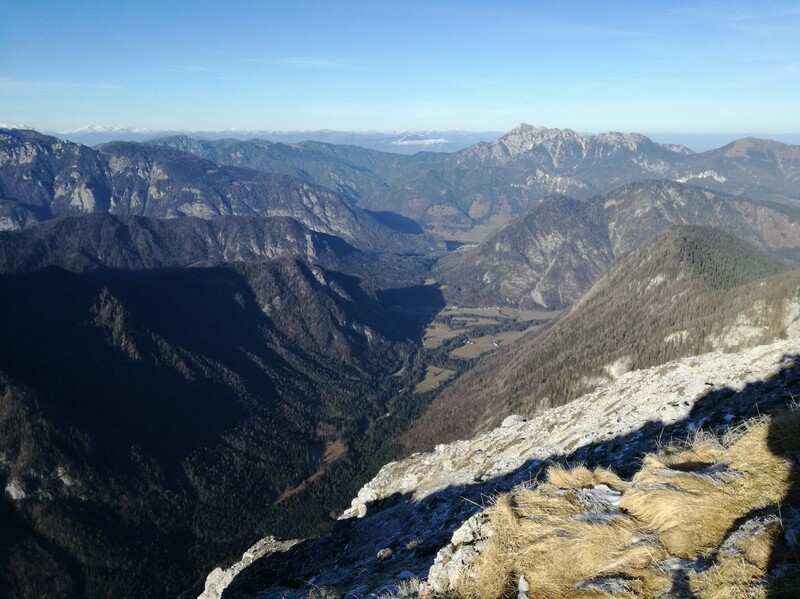 From there, we added another 3 kilometers to our hike, needed to arrive first to the starting point at Medvedova konta. Ehm, have I mentioned we were already behind our planned time? After a good half an hour walk, we finally reached Medvedova konta, our planned starting point of the day. From there on, it was nothing but pure pleasure. 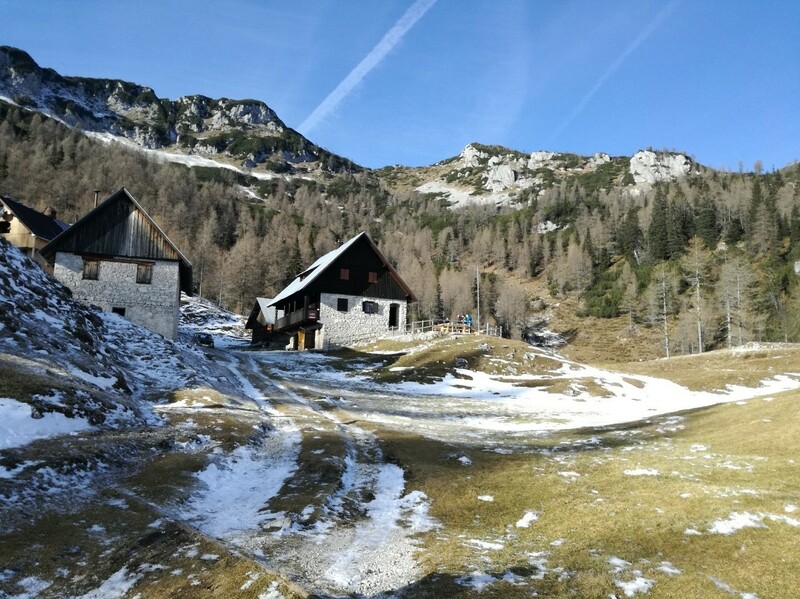 First, a quick walk through the woods and we reached the Blejska mountain hut at the Lipanca valley (1.630 m) about half an hour later. The starting point at Medvedova konta. 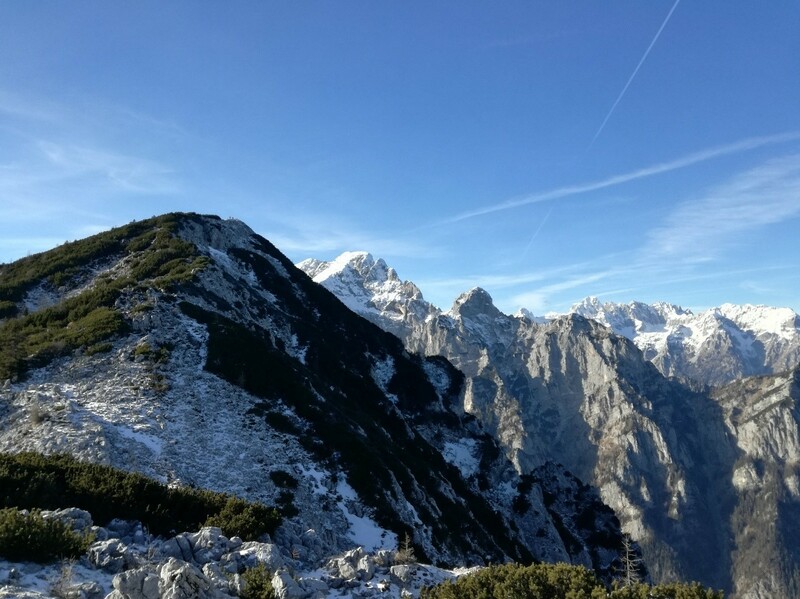 Landscape at the Blejska hut finally opened to amazing views of mountains above. Beautiful ... yet what more did await us at the top? 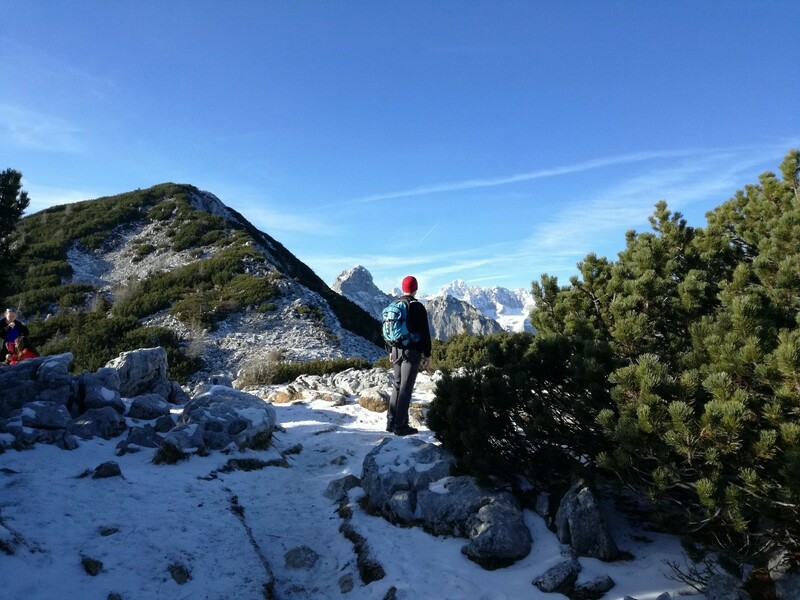 Since we were in delay already, we decided not to stop at the hut, but just took a few photos, enjoyed the view and continued our climb towards Debela peč. 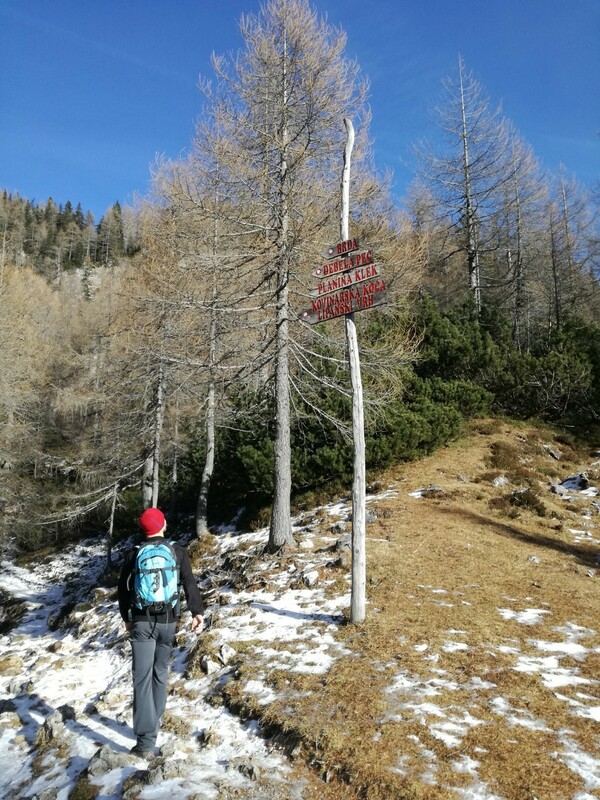 According to the signs, it was about an hour and a half to the top. And it really was. Just checking if we’re on the right path. Debela peč awaited right in front of us. 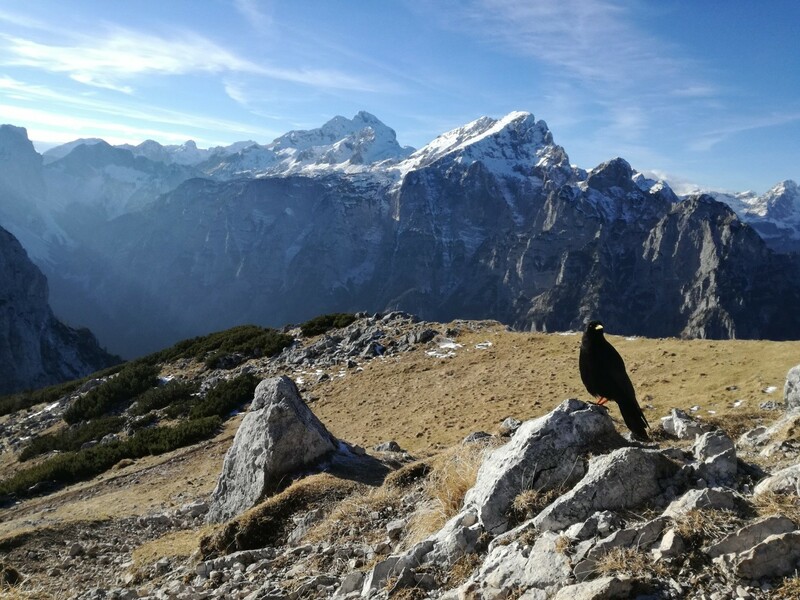 After the Blejska hut at the Lipanca valley, the trail puts on a scenic note revealing amazing views of Triglav and other grand mountains in the Julian Alps, while the trail itself changes from a walk through the woods, then continues on rocks, after those small bushes emerge, and finally it ends with an easy stroll on grass. When approaching the top, there were two large groups already returning down, so once we reached it, it was only us and another couple. Without a single cloud. Now how often does that happen? 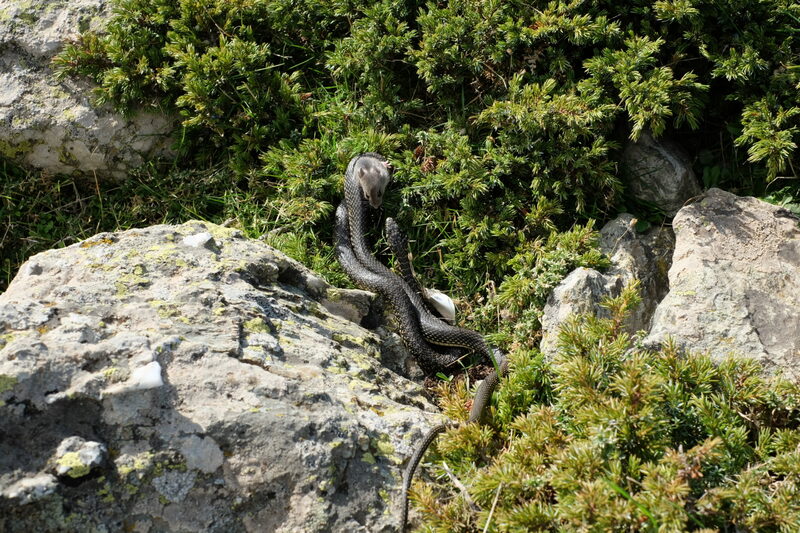 And when the other couple left, we were completely alone at the top (ok, ok, together with a few hungry black birdies). ... waiting for a bite or two, though he wouldn’t mind three, four or even more. He was a real athlete catching small crumbles in the air. You know, when you sit up there, sipping hot tea from the thermos flask, eating a well-deserved sandwich, you come to realize that except for the sound of your own breathing, there is nothing more. Simply enjoying the silence and the views. There is that moment of complete silence. No sounds of cars roaring and other mumbo-jumbo you hear in the city. Simply peaceful. 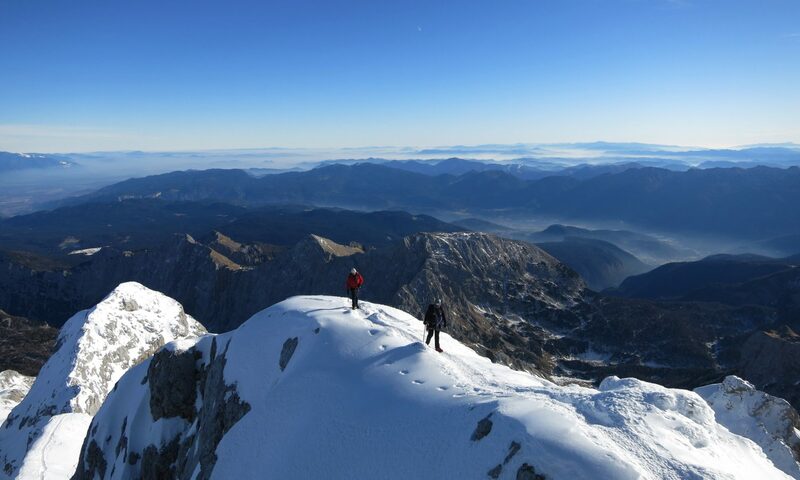 And when you throw the views over Triglav and the Alps into the mix, you see how beautiful outdoor life really is. We shall return ... for sure.